The world’s most beloved tenor, Andrea Bocelli, returns to Ireland. Reportedly the biggest selling solo classical artist of all time with over 80 million worldwide album sales, Bocelli has performed for four US Presidents, two Popes and many Royal families across the world, as well as at high-profile ceremonies for the Olympic Games and the World Cup. The Maestro has countless music awards to his name over past 25 years in music and even boasts a Star on the Hollywood Walk of Fame, which he received in 2010 for his contribution to live theatre. 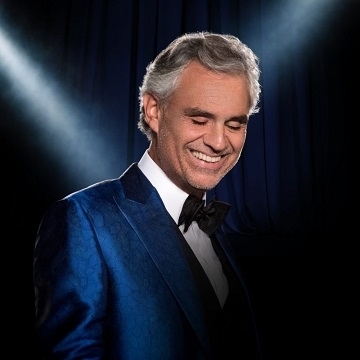 Andrea Bocelli last performed in Dublin to a sold out 3Arena in 2016 in support of his album release ‘Cinema’, which featured songs from movies – the record included stunning duets with Ariana Grande and Nicole Scherzinger, and reached number three in the UK charts. This exclusive hotly anticipated live performance of 2018 is sure to amaze once Again. Fans of the Italian tenor can expect the show to feature the popular repertoire from across his 15 studio albums.